Violet Lasting is no longer Lot 197; she has escaped surrogacy and is on the run in the Lone City. In this sequel to The Jewel, Violet and her friends are fighting for survival. Nowhere is safe – and never will be – unless Violet can help Lucien destroy the royalty. Perfect for fans of The Hunger Games and Matched, this is the second book in the Lone City trilogy, following on from Amy Ewing's shocking and compelling debut novel, The Jewel. Violet, Ash and Raven have escaped the palace of the Duchess of the Lake, but Regimentals are hunting for them across the city. Nowhere is safe, and they are dependent on Lucien and his secret society for survival. 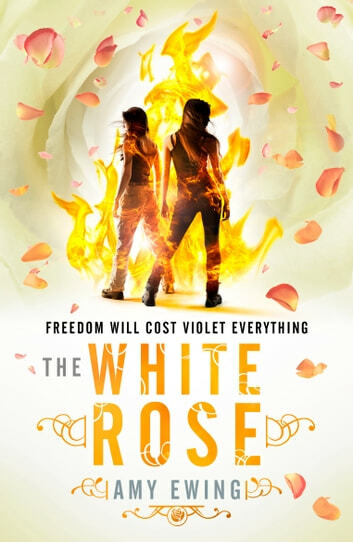 If they can reach the safety of the White Rose then Violet may be able to help Lucien in his plan to rescue more surrogates. For one surrogate, however, it is already too late. Violet's best friend, Raven, is pregnant. And in the Jewel, surrogates cannot survive giving birth. I love a story with a strong female lead and this book is no exception. I can't wait to see what happens next, if the freedom they seek is possible and if breaking down the barriers that they live in will result in a happy future. Can't wait to read the next book!